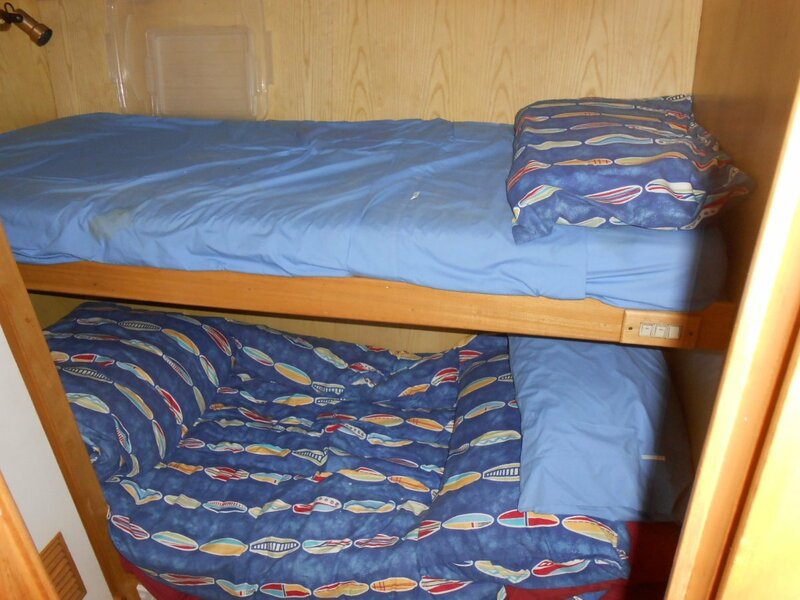 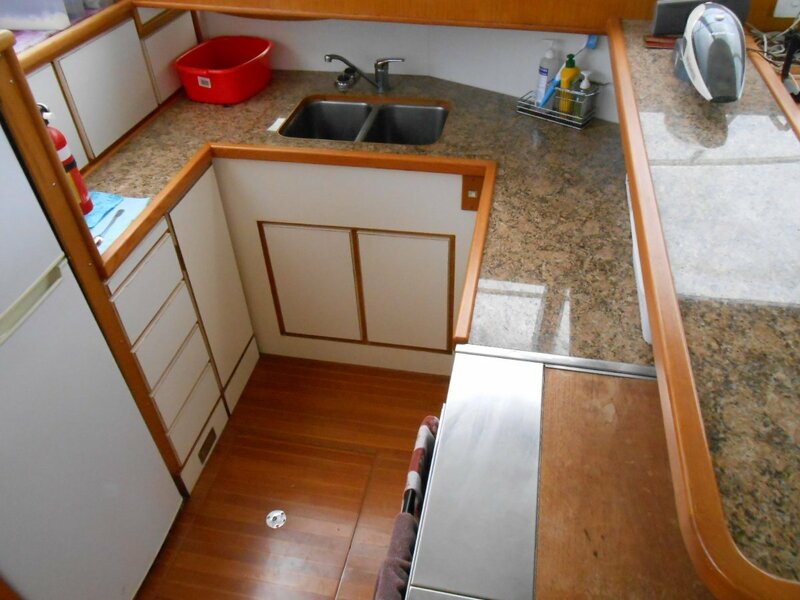 Masters 44 Flybridge Sports Fisher for under $150k "Make a Offer"
This is a twin cabin layout with big island bed in forward cabin with ensuite plus 2 singles in portside cabin, galley down starboard side with large 2 door fridge/freezer, stove and oven, s/s hot and cold sink, granite bench tops and loads of storage space. 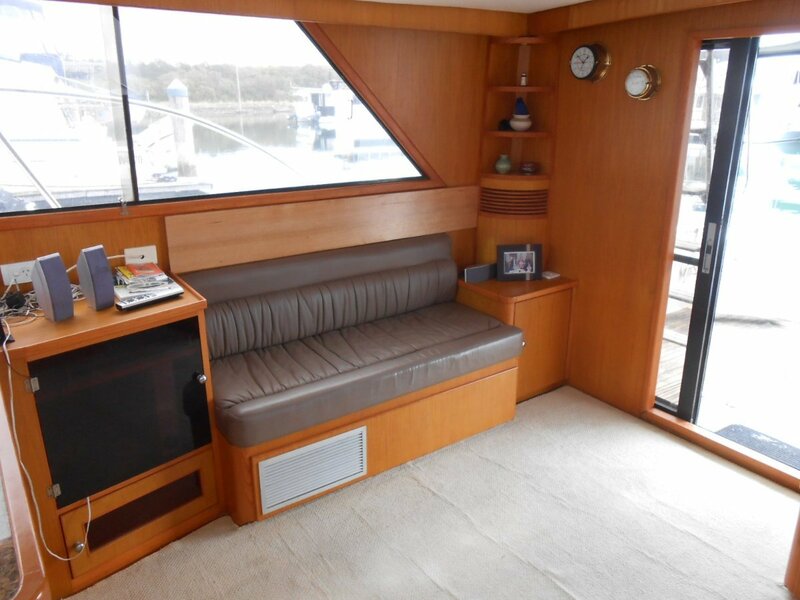 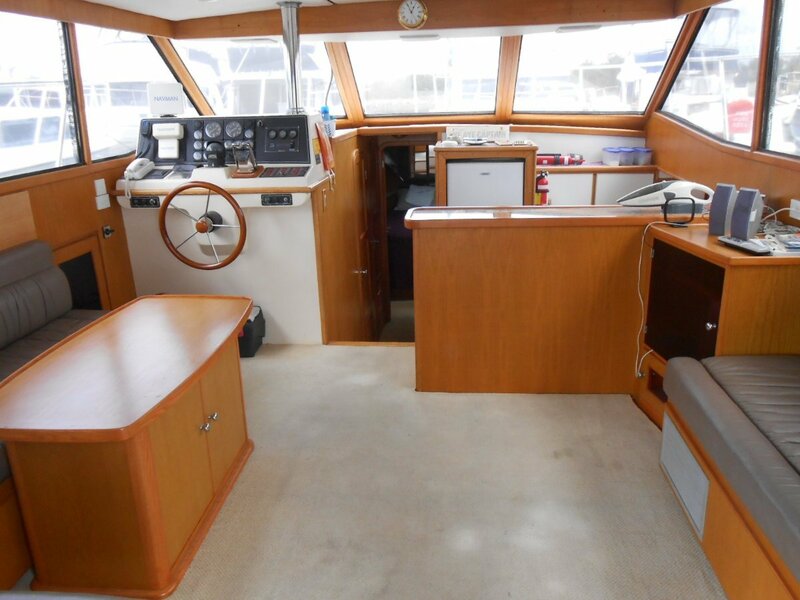 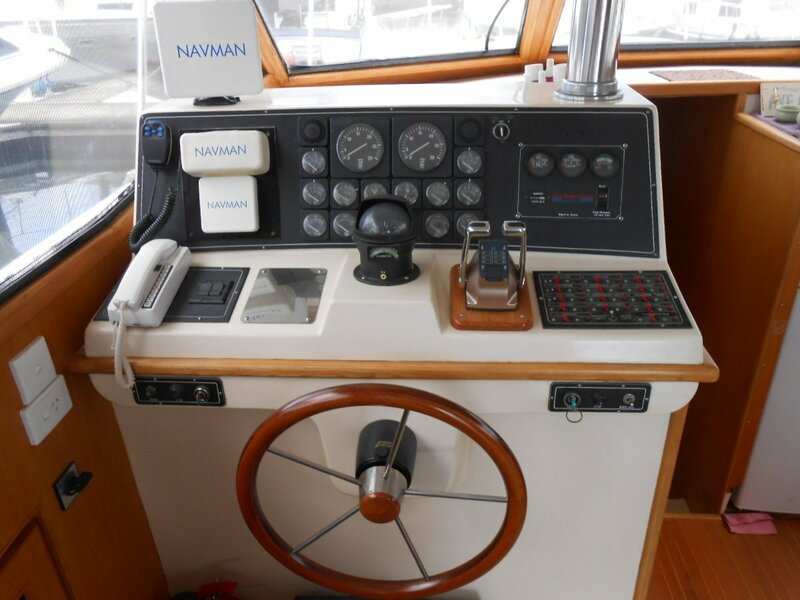 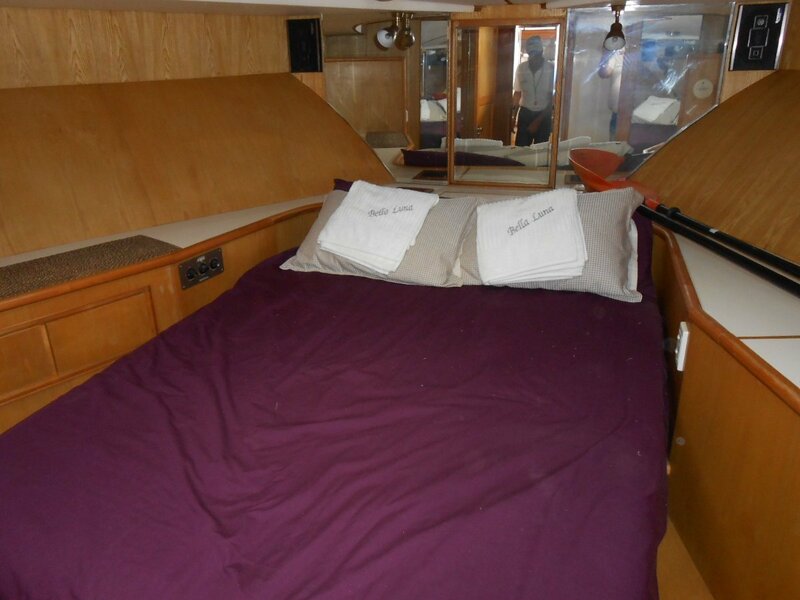 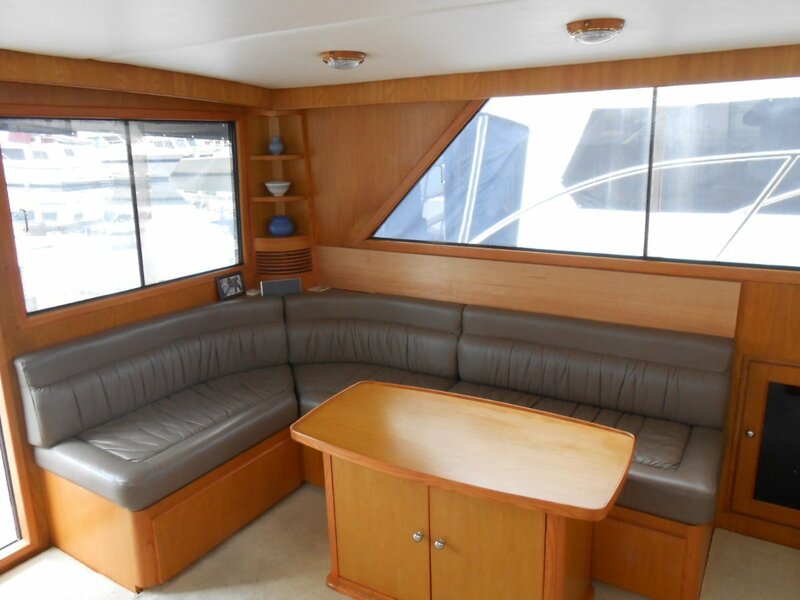 Big lounge area with downstairs steering station, Navman electronics, electric controls, a massive 16kva genset, air cond, electric and heat exchange hot water system, electric anchor winch and ground tackle. 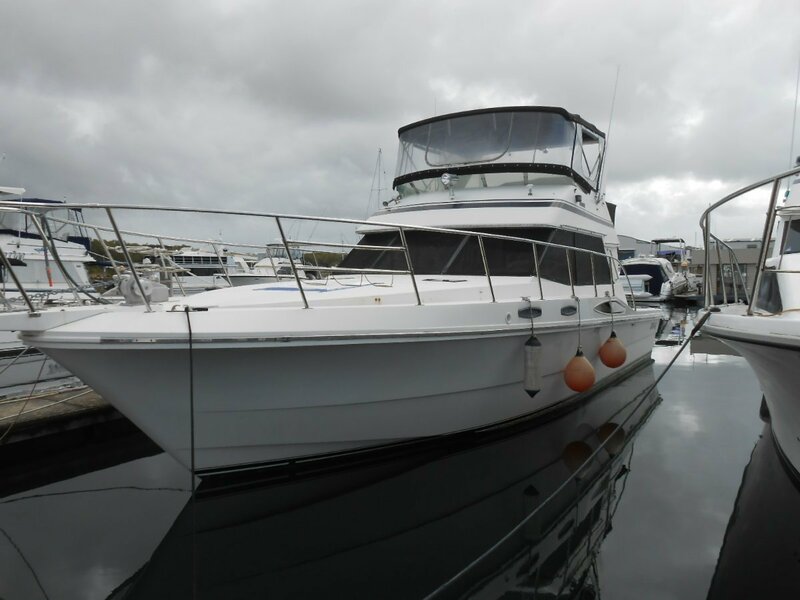 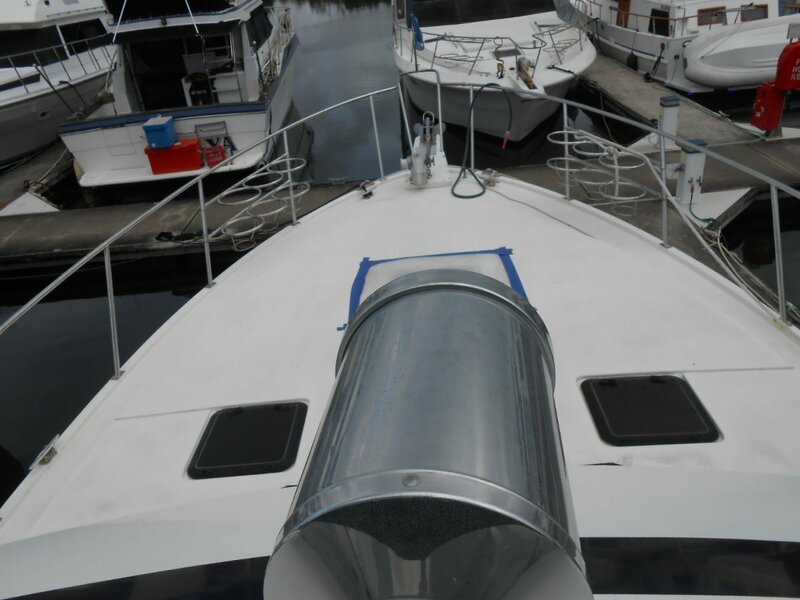 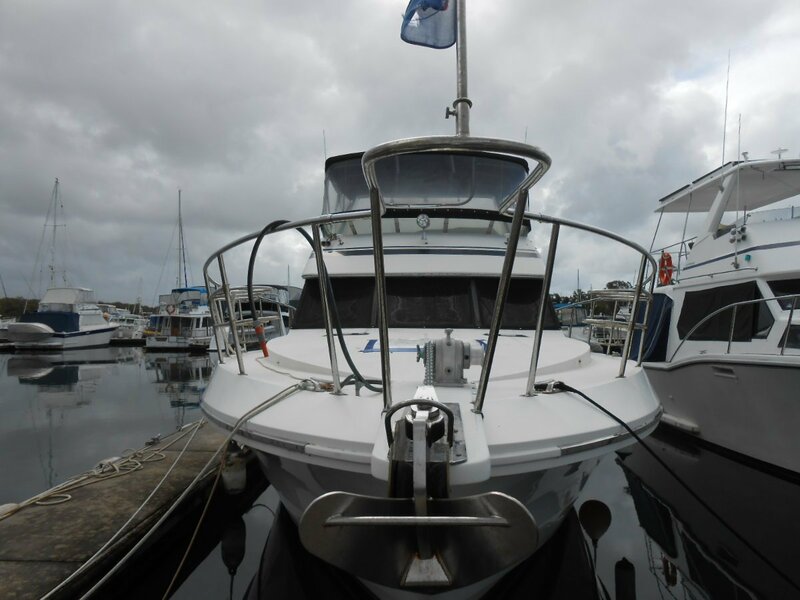 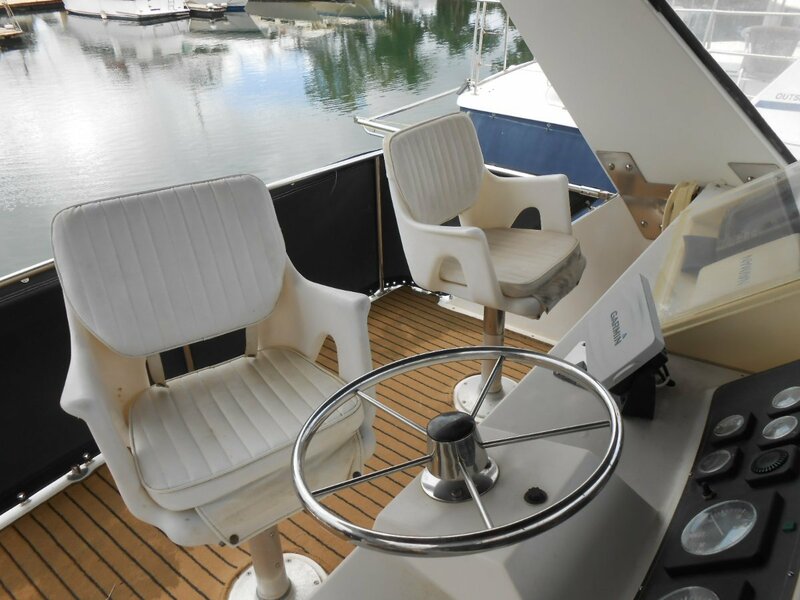 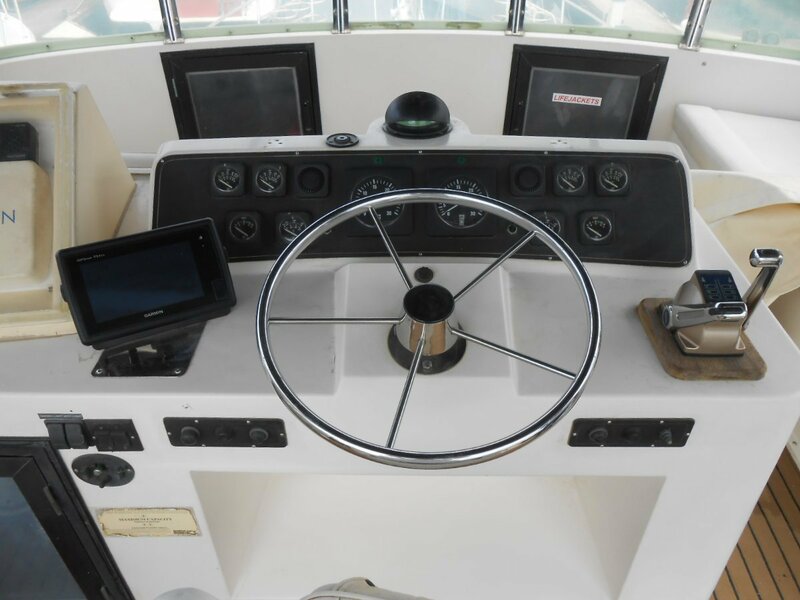 great Flybridge with full covers and a large back deck, what more could you want, ready to explore the waterways of the Gold Coast. 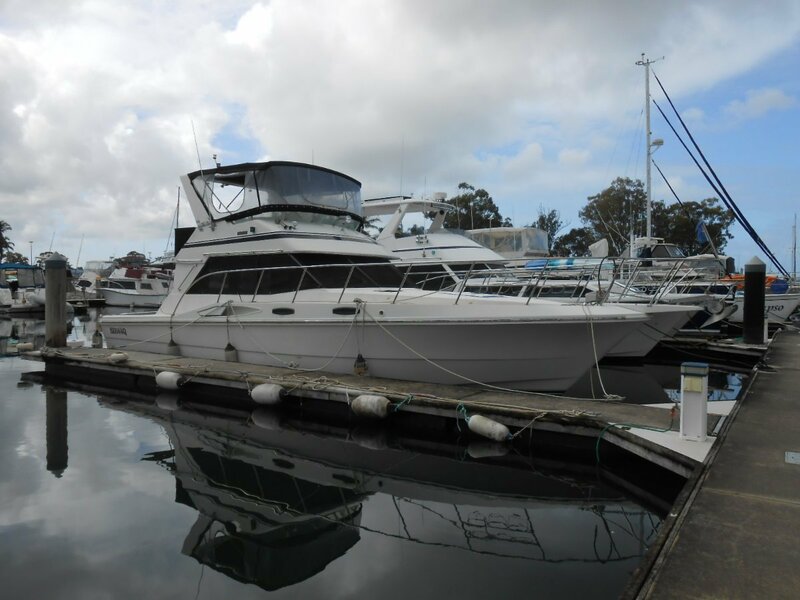 call Laurie on 0401 066 610 for more info or specs.